25th Hour Crafts – Booth 149 – Founded in Milwaukee, WI in 2015, we make all sorts of different nerdy and geeky items. Our crafts range from fabric dicebags made from some of your favorite character fabrics to chainmaille dicebags to carry your dice in style. We also make charm necklaces and earrings, nerdy fleece blankets, and cute crocheted amigurumi and this means we have something for just about everyone. 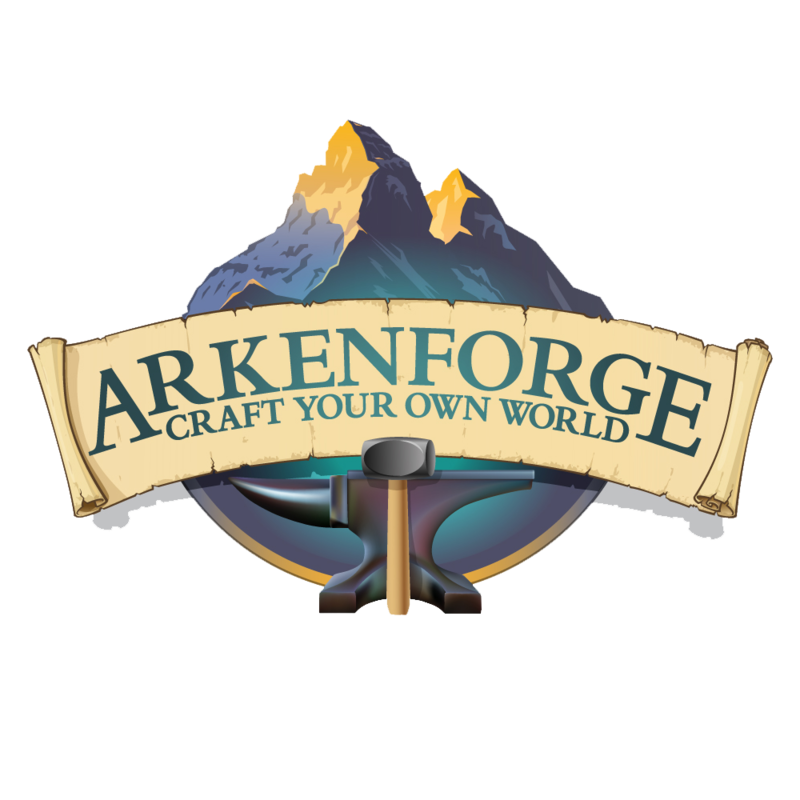 Arkenforge – Booth 203 – is a small Australian team of artists and developers focusing on creating an all-in-one software – The Masters Toolkit – for your tabletop needs. Art of Charles Urbach – Booth 129 & 130 – Creator of the official Gary Con XI “Pirate Queen” Artwork, Charles Urbach has more than 25 years experience in design and colored pencil illustration. His work has appeared in games including Magic: The Gathering, Star Wars, Legend of the Five Rings, Mage Knight, and many more. Visit his booth for artwork, greeting cards, mouse pads, games, gaming play mats, and more – all of it featuring detailed, traditionally styled imagery from fantasy, sci-fi, and many other genres. Art by David Lee Pancake – Booth 111 – David Lee Pancake’s sculptures and illustrations grace homes and business all over the world. He has illustrated book covers, magazines, websites and games for a variety of clients. He states: “I love detail and texture and angels, dragons and other mythical creatures allow me the freedom to play with paint and clay to bring to life what’s imagined.” David is an entrepreneur, avid reader, science fiction and fantasy aficionado, arm chair philosopher and science nut, but his first love is art. We are sure you wont forget his name, just think about your favorite breakfast food. Axe N Shield – Booth 137 – We are makers of World Class Table Top RPG Gaming Gear. Bring you game to new heights with AxeNshield 3D Combat Riser, Single Flyer Stands. Identify the truest Area Of Effect from your Spell Casters. Help your players stay more engaged and more immersed in the game with our Initiative Trackers. When you need to know what condition is present on a particular PC or NPC, throw down one of our Condition Rings…and so much more. Badger Games LLC – Booth 125, 126 – Badger Games LLC is a company which sells figures from a number of owned ranges as well as distributing a number of ranges from overseas. 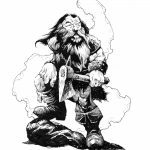 Badger Games carries the complete Otherworld Miniatures range of classic D&D style miniatures as well as a number of other fantastic fantasy and pulp role-play miniatures. New for 2019 will be our own line of classic ready-to-play fantasy miniatures. Black Blade Publishing – Booth 115, 116 – Black Blade Publishing is the publisher of the John Eric Holmes fiction anthology Tales of Peril. Black Blade is also the current publisher for the OSRIC retro-clone rule set and the companion Monsters of Myth. Additionally, Black Blade has teamed up with Robert J. Kuntz to bring back into print numerous titles by Mr. Kuntz previously self-published under his Pied Piper Publishing and Creations Unlimited imprints. Black Blade also represents over twenty indie and OSR publishers, bringing the newest releases by many of the indie and Old School Renaissance publishers to Gary Con, year after year. These publishing partners include Goodman Games, Judges Guild, The Tekumel Foundation, Creative Henchmen, GameWick Games, Three Line Studios, Mothshade Concepts, Hobbs & Friends, and Swordfish Islands. 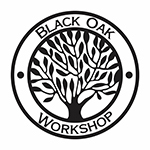 Black Oak Workshop – Booth 210, 212 – Black Oak Workshop is a producer of custom dice, dice bags and other game related products. We are an LLC located in the foothills of the Blue Ridge Mountains in North Georgia. Watch for new Black Oak products on Kickstarter and follow along! 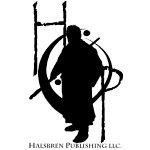 Bloat Games – Booth 208 – Bloat Games is an independent gaming company based out of Louisville, KY. Bloat Games specializes in OSR Tabletop RPGs. Our most popular games are SURVIVE THIS!! Dark Places & Demogorgons, SURVIVE THIS!! Zombies! 2nd Edition, SURVIVE THIS!! Vigilante City, White Box Zombies, The Vigilante Hack and The Zombie Hack. BRW Games – Booth 138 – BRW Games publishes old-school tabletop games, adventures, and supplements including Castle of the Mad Archmage™ and Adventures Dark and Deep™. We also carry a select line of other publishers’ games, accessories, and miniatures. Visit us at www.brwgames.com. CaveGeek – Booth 211 – CaveGeek creates unique three-dimensional replicas of fantasy maps using traditional materials and techniques. His maps are made entirely by hand on brain-tanned buckskin, burned in with a pyrography tool, and painted with natural pigments and primitive bone tools. His work has been featured by Geek and Sundry, Skin and Ink Magazine, Geek Magazine, and various game companies. Chimera Hobby Shop, Inc – Booth 112, 113, 114 – Chimera Hobby Shop specializes in family games, toys, puzzles, board games, t-shirts, card games, comic book trade paperbacks, and a huge selection of Melissa & Doug for the kids. 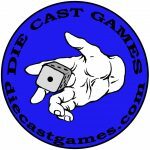 Die Cast Games – Booth 135, 136 – Here you can find out-of-print and rare Dungeons & Dragons, RPG’s, War Games, Board Games, Miniatures Games and much more! 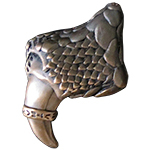 We even publish new adventures and accessories for use with Fantasy Role-Playing game systems. Edge Comics & Games – Booth 134 – Edge Comics & Games is a great local business since 2009, Mark the owner has been in the business since his early days, having his first store in Sacramento CA. We deal with out of print and hard to find books, games and comics. Effincool Miniatures – Booth 143 – Effincool Miniatures is a small Ohio based miniatures company. We specialize in 3-D design and print as well as mold making and pewter or resin casting of miniatures for the gaming industry. Epic Quest Publishing – Booth 402 – Epic Quest Productions brings you high quality RPG products including the Dragonwars of Trayth RPG Adventure Series, Fantasy/Adventure Artprints on t-shirts by artists Larry Elmore and Andres Canals, and other RPG artists and authors. Experience the Epic Quest that is the Dragonwars of Trayth RPG series. A story based RPG bringing your characters from 1st to 30th level over the span of 27 RPG modules. 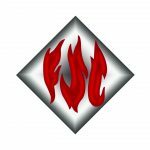 Fire Side Creations – Booth 152 –Fireside Creations (FSC) specializes in Classic and Bleeding Edge Sci-Fi and Fantasy Role Playing Games, RPG Adventure Modules, Board Games, and Campaign Settings. 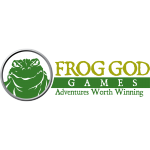 Frog God Games – Booth 119, 120 – Every book we sell comes with its PDF file for no additional charge! Ever stand up at a game table, throw your fists in the air like a barbarian and yell, “YEAH” before you sit back down, and high-five everyone else at the table over the rubble of dice and chips and minis? That’s what we’re about. We write adventures that are worth winning. Our adventures are tabletop gaming legends: Rappan Athuk, Tomb of Abysthor, Slumbering Tsar. Gamscience Dice – Booth 114 – Louis Zocchi started manufacturing Gamescience® dice in 1974, that’s right over 42 years of Gamescience® Dice and there have been a lot of happenings going on in those 42 years. Louis wants you to know that he made Gamescience® dice for the end user, he expects quality in every die and wants your gaming experience to be filled with the random rolls that Gamescience® dice promise you. Gamescience® Dice come with a 2-year warranty against defects in material or workmanship, so buy with confidence and buy America’s Polyhedral dice. Gargoyle Forge – Booth 104 – Providing high-quality, hand-made foam props to the light-touch LARP and cosplay communities since 2012! Goodman Games – Booth 107, 108 – Goodman Games is the publisher of the widely popular Dungeon Crawl Classics RPG (“DCC”), the newly released Mutant Crawl Classics RPG (“MCC”), the recently released Metamorphosis Alpha Collector’s Edition and Metamorphosis Alpha Epsilon City boxed set, the Judges Guild Collector’s Archive and the related Judges Guild reprint adventures, and numerous popular role-playing game supplements, including the Dungeon Alphabet, the Monster Alphabet, and the Grimtooth’s Ultimate Traps Book. Halsbren Publishing LLC – Booth 151 – Halsbren Publishing LLC was founded in 2014 with the intent of delivering great fantasy novels for fans of the genre. Since then, it has expanded into Role-Playing Games to further explore the wonderful worlds of fantasy and all it has to offer. Hammered Game Tables – Booth 140 – By utilizing old world craftsmanship with new world technology we have found the perfect balance to help you find the “Rite-Fit” table for your needs that won’t sink your ship. Everyone has a place at our tables. 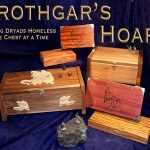 Hrothgar’s Hoard – Booths 123, 124 – Hrothgar’s Hoard specializes in high quality gaming accessories for your RPG and board games. We use the finest domestic and exotic woods to make heirloom quality Dice trays, cases, Dice Towers, and other great hand made items that add beauty to your gaming experience. Illusionist – Booth 131, 132 – Illusionist provides monthly subscription RPG crates and mystery boxes including OSR RPGs, Savage Worlds, Troll Lord Games, Cthulhu RPGs, Supers RPGs, 5e RPGs, and much more. We also deliver monthly crates for TerrainCrafter and Dwarven Crate dice boxes. At GaryCon we will be teaching you how to cast your own resin accessories, terrain and dice with our Pour-a-Dungeon and Pour-a-d20 and Pour-a-Castle kits! If you’ve never crafted your own resin terrain or dice, come on by and do a pour. Pour a tower, an entire box of dungeon terrain, your own dice, a custom miniature, or a complete dice tower! While you’re there, you can learn about our monthly subscription crates and maybe there will be one that you will like. At night, we’ll be running games with that very same terrain so come enjoy our Taloc: Mayan RPG, our EMP Shockwave Near Future RPG, and our AdventureHex mini adventures like Castle Prysim or Cthulhu Epics. Inkwell Ideas – Booth 121 – Creators of Hexographer, Dungeonographer, Cityographer, and Worldographer as well as DungeonMorphs, Sidequest Decks and more. 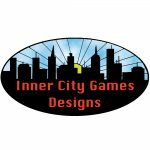 Inner City Games Designs – Booth 146 – Inner City Games Designs is one of the oldest small press publishing houses still in existence. Makers of board, role-playing, miniatures, and the occasional card game, Inner City has always made fun a priority. From the serious, to the seriously silly, we’ve got your games! 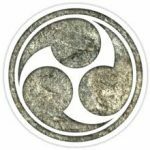 Iron Wind Metals – Booth 105 – Iron Wind Metals rose from the ashes of Ral Partha and continues the Partha tradition of finely crafted pewter miniatures – BattleTech, Chaos Wars, RP Fantasy, Hackmaster, and more. 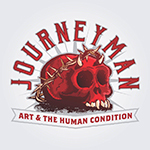 Journeyman Studios – Booth 207 – Journeyman Studios Art & The Human Condition. We create roleplaying games, comics, and illustrated stories. Our current projects are The Post-Human Condition, an RPG about a near-future setting in which alien space gods have come to Earth and warped humanity and reality itself, “Godkillers,” a scenario for that RPG, and The Burlap Daughter, a graphic novel set in the world of The Post-Human Condition. Kobold Press – Booth 148 – Since 2006, Kobold Press has focused on excellence in tabletop RPG design. It has published more than 200 game books and supplements in that time, and brought a new setting to tabletop roleplaying: Midgard, a dark world of deep magic, flavored with the myths and folklore of Central Europe. Several of its backers and patrons over the years have gone on to lead new projects at Kobold Press and at other mid- and top-tier RPG publishers. Kobold Press releases span a wide range of roleplaying systems — including the 5th Edition of the world’s most popular roleplaying game. The Warlock Patreon is a regular source of new 5e Midgard campaign setting content, and the Tome of Beasts and Creature Codex have brought hundreds of exciting new foes to the table. Lisa Sell LLC – Booth 127, 128 – Lisa Sell is a professional fantasy artist working with multiple mediums and forms of art in 2 and 3 dimensions. Her sculptures and illustrations are treasured by people across the country and around the world. She is most well known for her line of sculpted fantasy masks, jewelry, figurines, original sculptures, 3 dimensional wall art, and is expanding into the arenas of game illustration, and fine art prints. All of her work is original from concept design to the completed piece. Each piece is even hand painted by Lisa. She has won awards at conventions including Best In Show at Dragon Con, Best 3D Artist at Gen Con, and Best Professional Collection at ConVergence. Make sure you stop by the booth and check out her art! 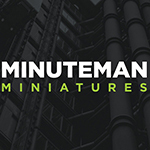 Minuteman Miniatures – Booth 206 – Minuteman Miniatures creates personalized “Miniatures of YOU.” Using advanced 3d Scanning, Digital Sculpting, and Liquid-Resin 3d printing, we can transform you from a tabletop gamer into a tabletop miniature. 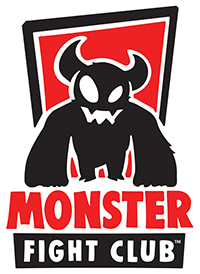 Monster Fight Club – A new premier game, hobby and toy development company formed by +20 year gaming veterans, founder and the former creative team of Gale Force Nine that created such acclaimed boardgames as Spartacus: A Game of Blood & Treachery, Firefly: The Game, Sons of Anarchy: Men of Mayhem, Star Trek: Ascendancy, Vault of Dragons – a Dungeons & Dragons™ Boardgame and many, many others. MFC will focus on making great games, useful hobby products and fantastically fun toys while focusing on creatively, originality and attention to detail. New Comet Games – Booth 206 – Find Excitement Here! New Comet Games is dedicated to bringing you original quality board games, card games, and RPG adventures that everyone will enjoy. RPG supplements include adventures for D&D 5E, AD&D 1E/2E, Call of Cthulhu, Bunnies and Burrows, Top Secret: New World Order and Paranoia. We create unique dice for gaming such as our Crit-Fumble Dice and Fear/Insanity Dice. As well as novelty dice for life, such as our Engineering Excuse Dice, Software and IT Dice. Finally, we carry a variety of Dice Trays, Bags and Towers for all your role-playing needs. 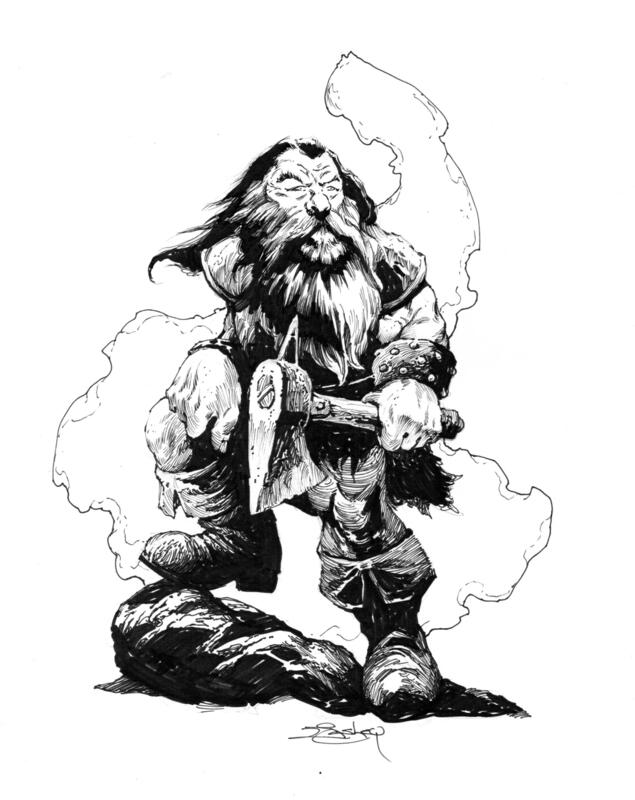 Northwind Adventures – Booth 117 – North Wind Adventures is the publisher of Astonishing Swordsmen & Sorcerers of Hyperborea™, a role-playing game of swords, sorcery, and weird fantasy, inspired by the fantastic literature of Robert E. Howard, H.P. Lovecraft, and Clark Ashton Smith. OffWorld Designs, Inc. – Booth 202 & 204 – The Best T-shirts in Fandom. Original t-shirt designs for the gamer. Pacesetter Games & Simulations – Booth 109 & 110 – Publisher of adventure modules and supplements for RPGs including Dungeons & Dragons 5e, Advanced Dungeons & Dragons, DCC RPG, Swords & Wizardry, and Top Secret New World Order. Also, Pacesetter produces game figures for all of the above game systems as well as others. Pick Up & Go Games – Booth 141 –Pick Up & Go Games’ mission is to bring the fun and camaraderie of role-playing games to newbies and veterans alike in every generation and at every ability level. Easy rules, fast play, and unlimited adventure, PU&GG role-playing games, card games, and live action events bring the fun and camaraderie of gaming to the world. Gaming is for everyone. Simpler is better! Play to Beat Brain Cancer Inc. – Booth 403 – Play To Beat Brain Cancer Inc. is a 501(c)(3) nonprofit organized and operated to primarily pay the Medical expenses for patients suffering from Brain Cancer who cannot afford the Treatments, Medicines, or Surgeries. In addition, we provide support through donations to various Hospitals doing Brain Cancer Research and Clinical Trials. Printable Scenery – Booth 205 – Printable Scenery began in 2013. Since then we have produced beautiful 3D printable models and gaming terrain, selling them worldwide to many satisfied customers. 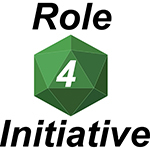 Roll 4 Initiative – Booth 150 –Role 4 Initiative is a family-run developer and manufacturer of tabletop gaming accessories, including polyhedral dice, dice towers, dry-erase dungeon tiles, dungeon dressing, and miniatures. 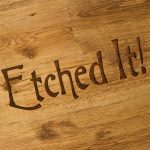 RPG Coasters – Booth 139 – I make hardwood drink coasters, dice boxes, dice cups, and other tabletop gaming accessories. Items are customizable for your gaming group. Everything is sourced and made here in WI near Madison. Savage Creations – Booth 122 – Providing Custom Hand Carved Wooden Art Based on your Artwork or upon request. Custom fantasy themed Dragon, Knight and other ink pens. Hand crafted wands and other turned fantasy objects. Spheres And other mineral related items to fill your fantasy gaming needs. Spellbinders – Booth 103 – Spellbinders was previously a brick and mortar store for 22 years, now sometimes reopening somewhere during the Christmas season. We published Paul Burdick’s Castle Thrax and Tom Moldvay’s The Future King. We join you at shows with an eclectic line of retro first edition D&D, miniatures, jewelry and dice. If you have any problem with one of our products, contact me on my private cell, 330.289.0013, and we fix it, guaranteed. Studio 6d6 – Booth 106, 147 – Studio d6d is the working studio of Andy Watkins and his crew. Andy and his crew are all hard-core gamers who live to create great products for gamers. Troll Lord Games – Booth 101, 102 – Plunge into worlds of fantastic adventure where dragons lie and the undead stalk the shades of your mind’s imagines, where creatures of legend plunder wealth through the horror of their passage. Monsters grim and foul hold the ecstasy of gold and the renown of glory. Publishers of the esteemed Castles and Crusades Game System!